Looks like bad news for GLORY 16 as the headline bout between Nieky Holzken and Marc de Bonte has fallen apart due to a nagging injury that Holzken suffered from a car accident in January. 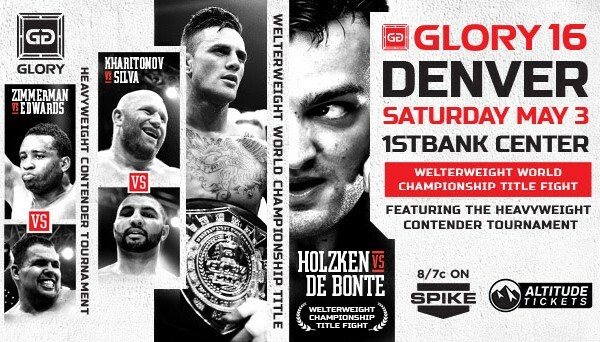 Nieky Holzken was to square off against Marc de Bonte at GLORY 16 in May for the GLORY Welterweight Championship, only for his injuries to still be affecting the GLORY 13 tournament champion and keep him out of action. Never fear, though, as GLORY will still crown a GLORY Welterweight Champion that night. Instead, Marc de Bonte will square off against Karapet Karapetyan for the GLORY Welterweight Championship at GLORY 16. 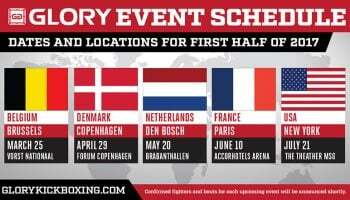 GLORY 16 takes place on May 3rd in Denver, Colorado.